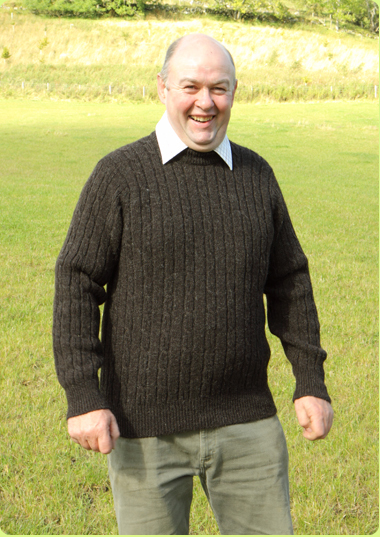 Handmade, weatherproof clothes made of valuable Hebridean sheep wool! 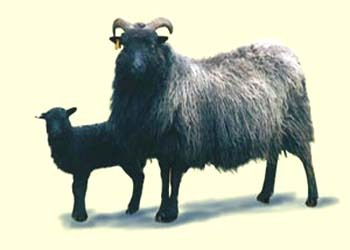 Unique, handmade items made of Hebridean Wool! Start a great window-shopping-tour! Welcome to our farm-house shop at Borland Farm! Please note: Most prices INCLUDE postage! Our traditional warm cable sweater is surprisingly light, soft, and can be worn anywhere. (38, 40, 42, 44, 46, 48). 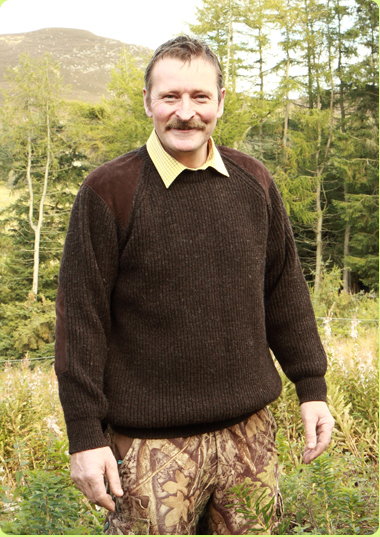 A sportsman's sweater knitted in four ply Hebridean wool with matching leather shoulder and elbow patches. 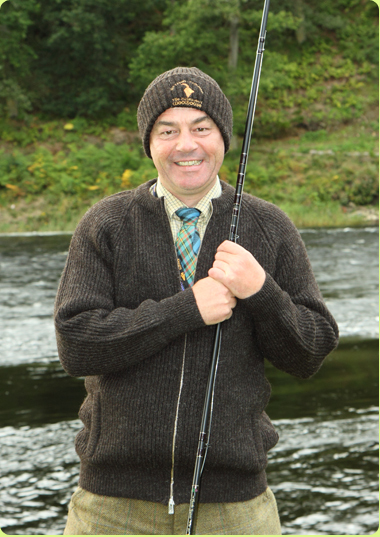 The natural Hebridean wool provides great warmth as well as being remarkably shower resistant which will make it ideal for golfers, shooters and fishers. HINT: This sweater is also popular with the ladies!!! 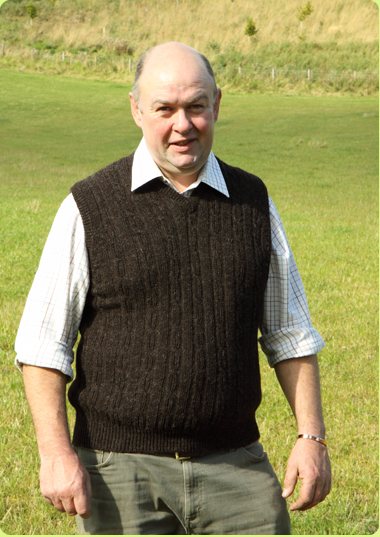 This lightweight men's waistcoat is a beautifully made product and is well suited to the natural top quality Hebridean wool we use. With two pockets and excellent springy fitting at the shoulders, this is an expensive waistcoat to make but worth every penny with its soft feel to the touch but hard wearing quality. In the same stitch design and for those who don't like buttons or pulling sweaters over their heads, we have introduced a new zip-up knitted jacket. Smart and comfortable in the same stitch as the Sportsman's sweater and with the same leather patches on both shoulders and elbows. It also has two hand warmer pockets. (38, 40, 42, 44, 46). Another new design for 2004 is a lightweight v-neck sleeveless pullover. 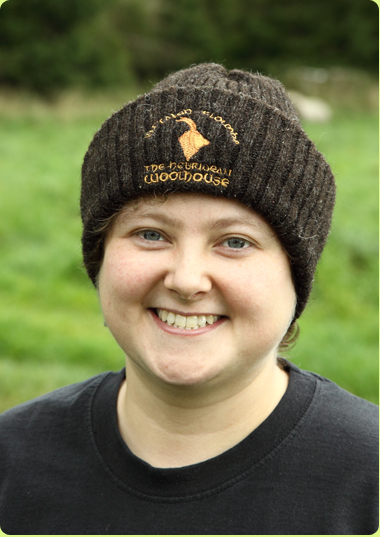 Ideal for wearing about the house in today's centrally heated environment and perfect for the summer months. This inexpensive slipover is knitted in the same popular cable stitch as our cable stitch sweater. 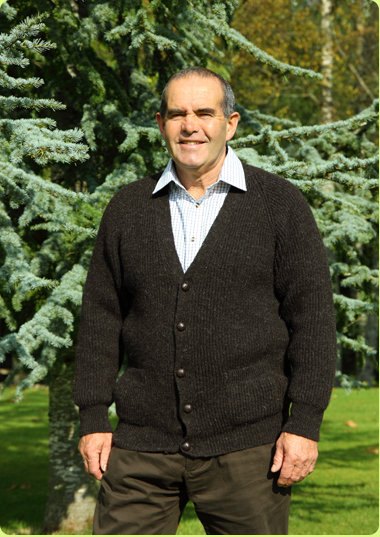 A very smart cardigan with leather buttons designed for tidy autumn and winter wear. This has reinforced leather elbows and two pockets and should last a lifetime. This is a lightweight V-Neck cardigan. 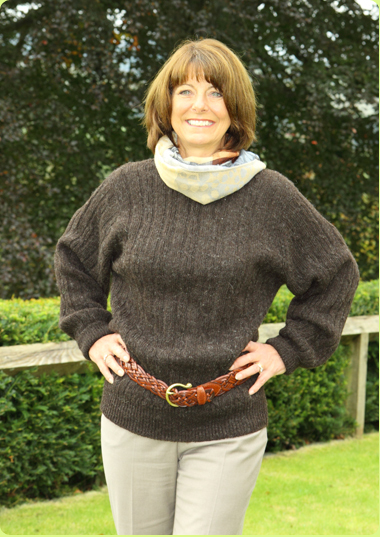 It is knitted in our traditional cable stitch with the addition of two pockets. 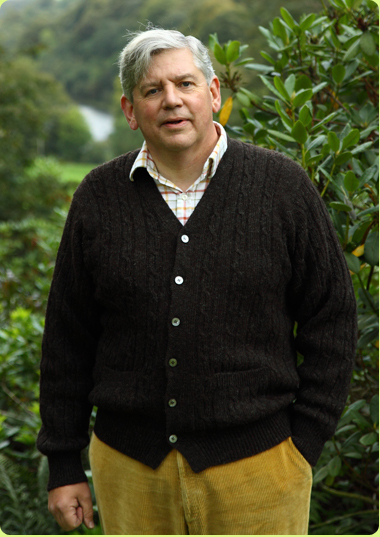 Despite being made in a lightweight stitch this garment still provides plenty of warmth for the cooler summer evenings and is pleasantly soft to the touch. 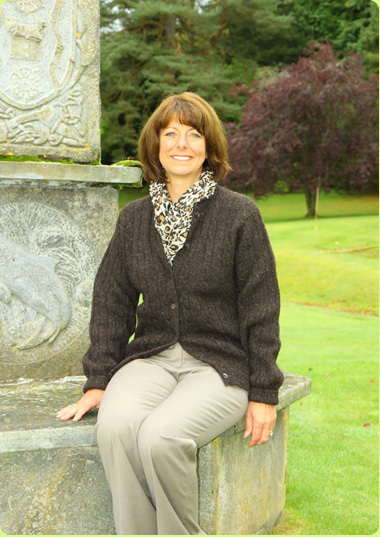 This well styled golfing cardigan is especially made for the ladies. It is made in the same pattern and stitch as pur popular cable sweaters and is pleasantly soft to the touch. With a round neck and buttoned front it is not only perfect for the golf course but for everyday's life! 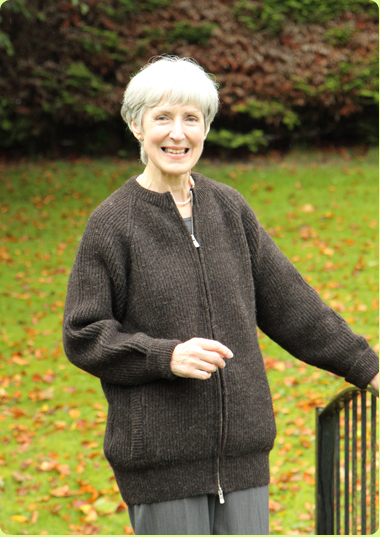 This traditional cable-stitch sweater is surprisingly light and soft and can be worn anywhere. It is equally suited to gentlemen and ladies. This crewneck sweater is warm and comfortable to wear. Knitted in the same traditional ribbed stitch as the Sportsman sweater this garment is designed for those who don't like button or pulling sweaters over their heads. This zipped jacket is smart, warm and comfortable with two hand warmer pockets and a two way zip. 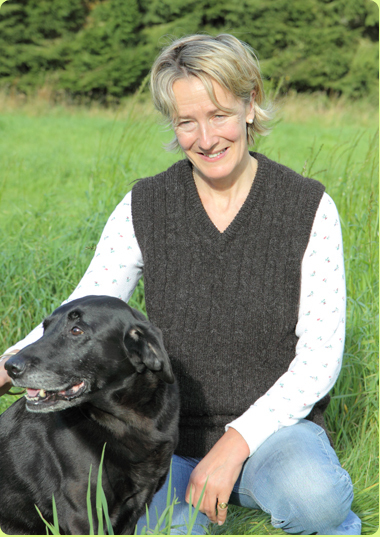 The lightweight V-Neck sleeveless pullover is knitted in our cable stitch design and has proved to be a popular addition to our range. It is ideal for wearing about the house in todays centrally heated environment and is perfect for the summer months. 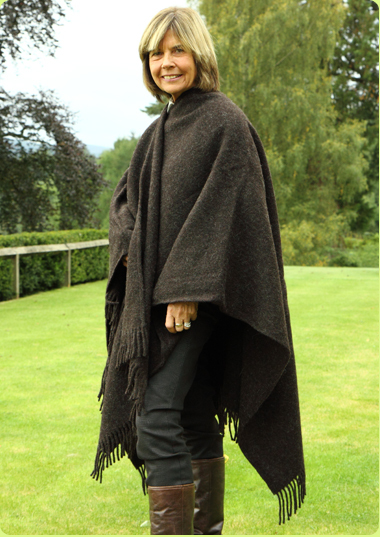 The versatile serape, a wonderful alternative to the coat - one size fits all. 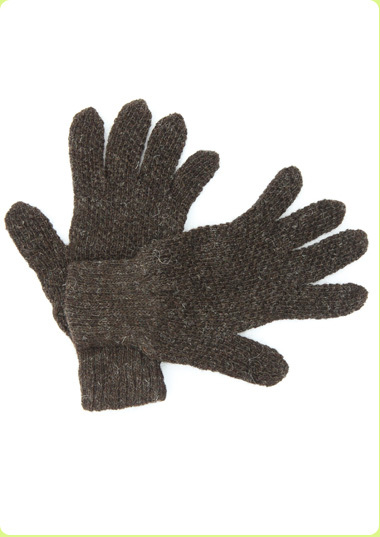 Available in winter weight (ultra warm) and a soft summer weight (highly recommended)! The serape is not knitted but is made from weaving the Hebridean yarn. 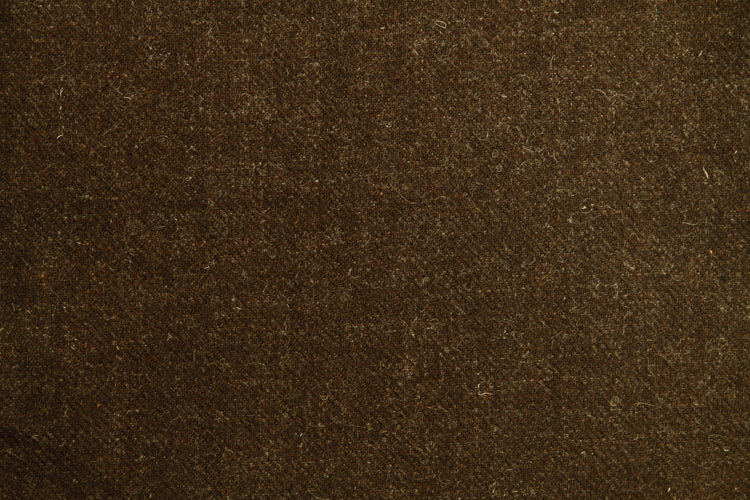 The resulting weave is then brushed to give it a smooth and comfy feel. The ultimate pull-on bonnet, withstands any Atlantic gale. If you don't want our logo on the frontside please let us know! 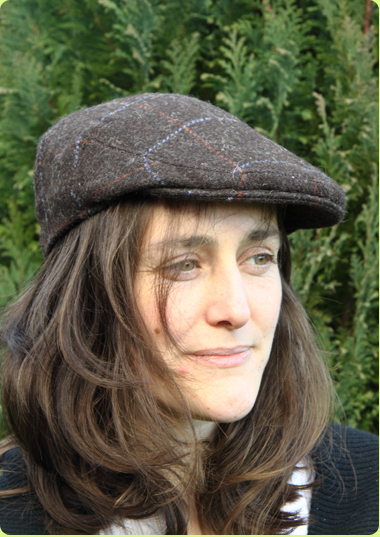 Our tweed caps are available in a 'one size fits all' style. Please choose between four different patterns and tell us your choice! 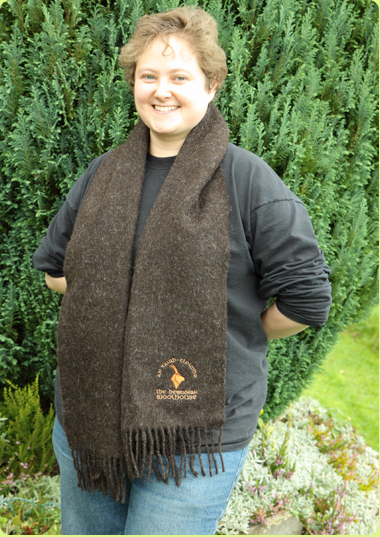 The indispensible soft & warm woven winter scarf measures 60" x 13" and has a 3" fringe at each end. It comes with our embroidered logo placed in the bottom corner. 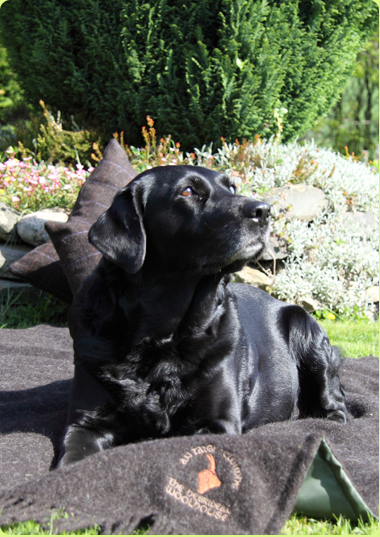 Made in the same size as our picnic rug this blanket throw is manufatured in a lighter weight. 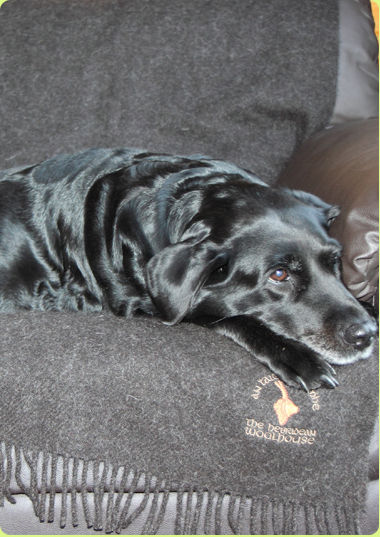 They are designed to be used as bedspreads and sofa covers, particularly in dog loving homes. 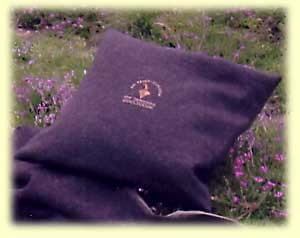 They can also be used as a lightweight picnic rug for dry days. Cushion covers show our logo. Size 20" x 20" or 16" x 16". Please choose between four different patterns and tell us your choice! 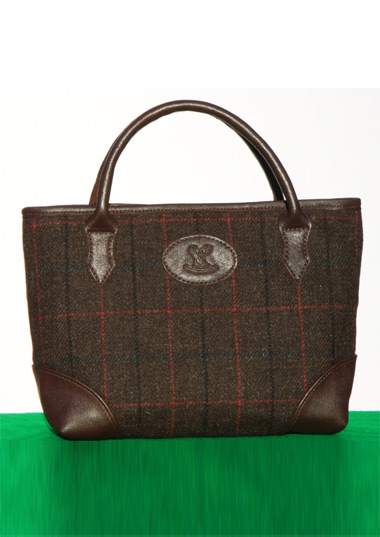 The Hebridean Woolhouse handbag is made from our Islay tweed and measures 1' in length by 9" high and is 5,5" wide at the base. The bag has leather corner patches on the base, leather trim round the top and leather handles the fold down when the bag is placed down. Inside there are 3 open leather pockets and a zipped compartment. It closes by way of a zip. 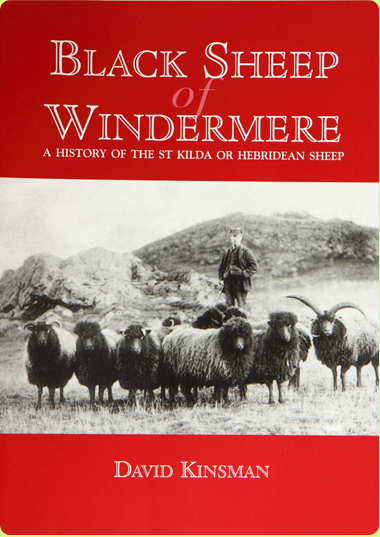 This is the definitive book on Hebridean sheep written by David Kinsman. It traces their history and origins and their remarkable survival from near extinction. 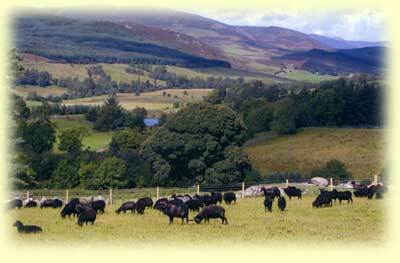 The Hebridean sheep crooks are carved in ashwood by Paul Cobert. 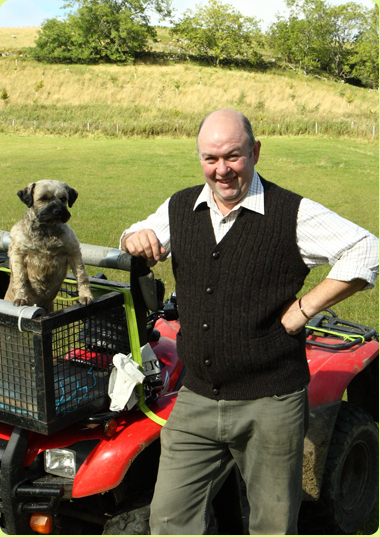 He uses natural Hebridean Sheep horn for carving the sheep's head which is then inserted into the ash. 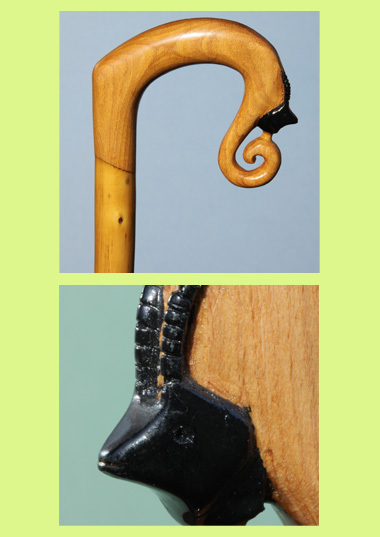 The crooks are mounted on a hazel wood shank. 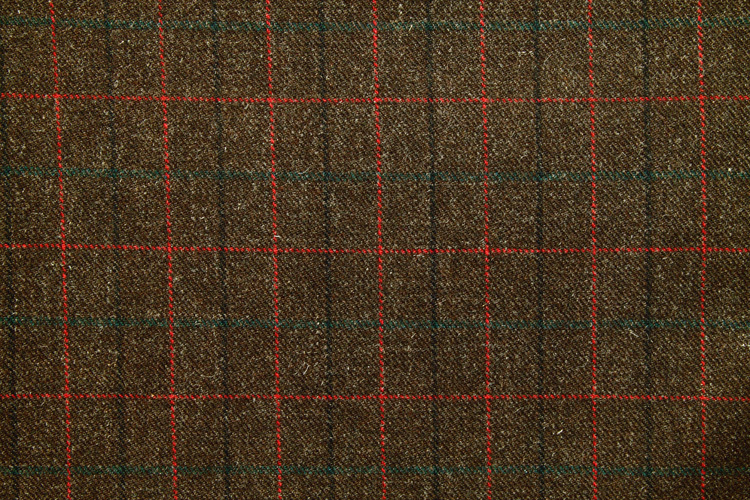 This tweed is purely made from the natural undyed Hebridean wool with coloured Shetland wool added to make the subtile pattern. It is available to purchase in lengths for making skirts, suits etc. and is ideal for many interior design projects like decorative cushions. If you need more than one yard please repeat the paypal checkout as often as you need yards. 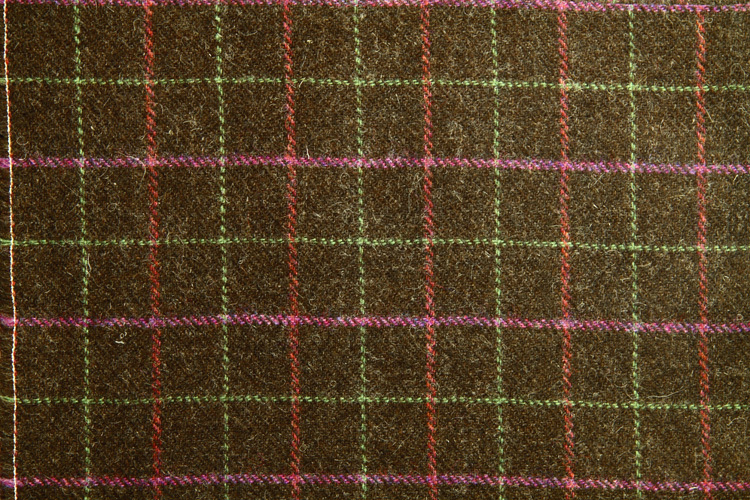 This tweed ist purely made from the natural undyed Hebridean wool. It is available to purchase in lengths for making skirts, suits etc. and is ideal for many interior projects like decorative cushions. It comes in the traditional width of 64". 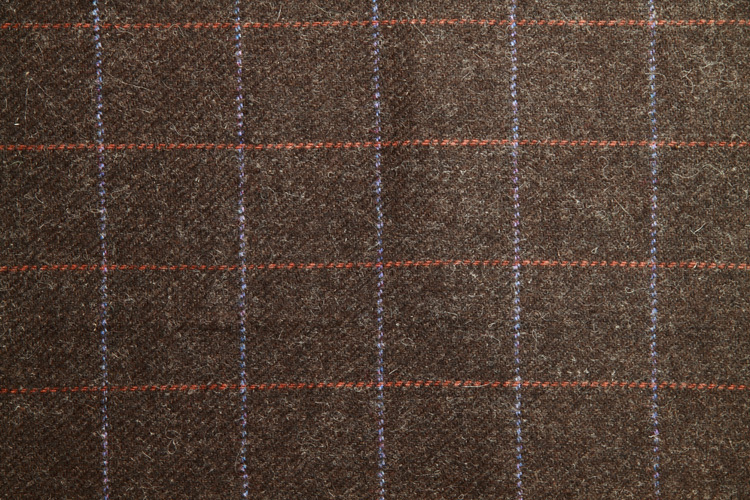 This tweed is purely made from the natural undyed Hebridean wool with the addition of coloured Shetland wool to make the subtle pattern. It is available to purchase in lengths for making skirts, suits etc. and is deal for many interior design projects like decorative cushions. As already mentioned above most of the prices shown above are the total amounts in British pounds you have to pay for one item INCLUDING POSTAGE! If you would like to order please use the PAYPAL buttons above. You don´t need a paypal account to pay for your item! If you DO NOT WANT TO PAY BY PAYPAL please send an email including your name, delivery address, the item(s) and the quantity you want. We'll tell you our bank account details by email!